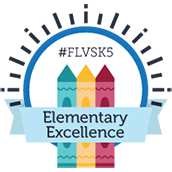 At FLVS, students are required to collaborate with one another at least one time within each segment/semester. 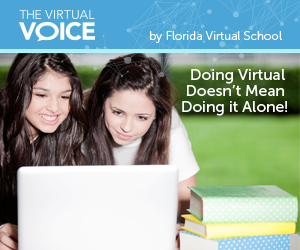 Many families, at first glance, think this is a demanding request or an off-the-wall requirement, because of their initial thoughts about virtual education. What they find is that they wonder why they didn’t start collaborating sooner. From an academic perspective, research has proven that collaborative planning, teaming, and research have led to greater results. This phenomenon applies directly to education. Students have a way of explaining things to one another in student-friendly vocabulary that helps reinforce the concept being taught or discovered. While people may agree with this, they have a hard time understanding what that looks like in a virtual environment. Students are able to interact in a live session with an instructor in the same way they are able to within a brick-and-mortar environment. In the virtual setting, students are able to utilize their microphones, webcams, whiteboard, and chat box to communicate with each other and the instructor in real-time. In addition to academics, there are several other avenues by which students can collaborate. Students have the unique opportunity to participate in extracurricular virtual clubs to meet other students through various non-academic channels. Such clubs include Fine Arts, Debate, Chess, Newspaper, Yearbook, Driving, Spanish, National Honors Society, and many more. The presence of these clubs provides a strong outlet for students to collaborate with one another and build camaraderie with one another. Collaboration doesn’t only apply to the student experience, but also teachers. 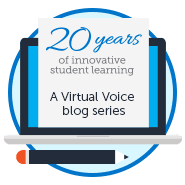 In the virtual environment, we are beginning to work in Professional Learning Communities to plan and collaborate with one another to ensure that our students get a seamless and world-class experience. Teachers have the opportunity to simply email, call, or message one another for assistance from best practices to content assistance. When students take more than one course at a given time, it allows teachers to collaborate with one another to look for behavior patterns with a given student and share information to do what’s best for the student. Peer-to-Peer collaboration is an amazing opportunity to grow professionally and ensure our students have the best educational experience possible. With so many opportunities, what are you waiting for? Start collaborating today! This entry was posted in Educator Edition, Homeschool Edition, Student Edition and tagged 21st Century Education, Academic Integrity, Collaboration, Goals, Leadership, Learning Communities, Professional Learning, Student Focus on February 26, 2014 by Guest Blogger.